Maintenance is key to a safe and enjoyable boating season. 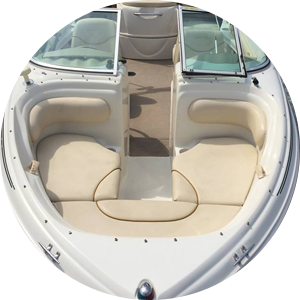 Spring is the time to take your boat out of winter storage. Annual preparation and cleaning each Spring will help prevent problems once the season is underway. Replace all engine fluids, oil filters and engine-fuel filters. Replace spark plugs and related ignition parts. Inspect grease fittings, add grease. Remove the propellers and check the lower-unit seals. Grease propeller shaft. Replace water pump every two seasons or as needed. Inspect the engine zincs and replace as needed. Inspect the battery cable connection to the engine. Inspect the power trim and tilt rams and end caps, and service them if needed. Replace all external spin-in fuel-filter canisters. Carefully inspect all fuel hoses and primer bulbs for leaks, wear or weathering. Inspect all connections in the fuel-delivery system for any signs of leaks. Charge batteries, Load-test all batteries. Inspect the battery cable connection to the engine. Inspect all of the hydraulic hoses and connections for leaks. Inspect the hydraulic steering ram and end caps for leaks. Grease the fittings on the steering tilt tube, as well as the steering-arm assemblies on cable-steering systems. Inspect all Navigation lights for operation. Inspect all through-hull fittings and hoses from the inside and outside to be sure they are secure, undamaged and free of leaks. Check all bilge pumps and automatic switches. Check anti-fouling paint on outdrives and replace drive zincs as needed.